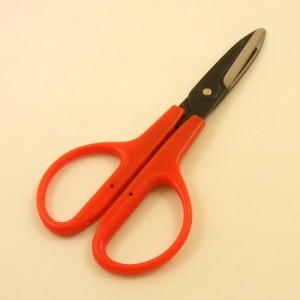 These leather shears are very handy to have around! Not only are they great for cutting lightweight leather, they're also very useful in the kitchen and around the home and garden. The blades are 60mm long from the hinge point. 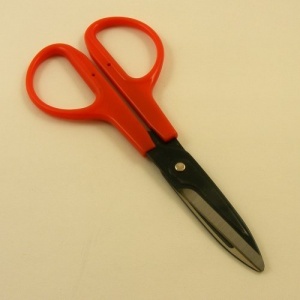 Overall scissor length 170mm.